This is part IV of my FCPA Rewards Pharma Series. Part I of the series can be viewed here, part II of the series can be viewed here, and part III can be viewed here. 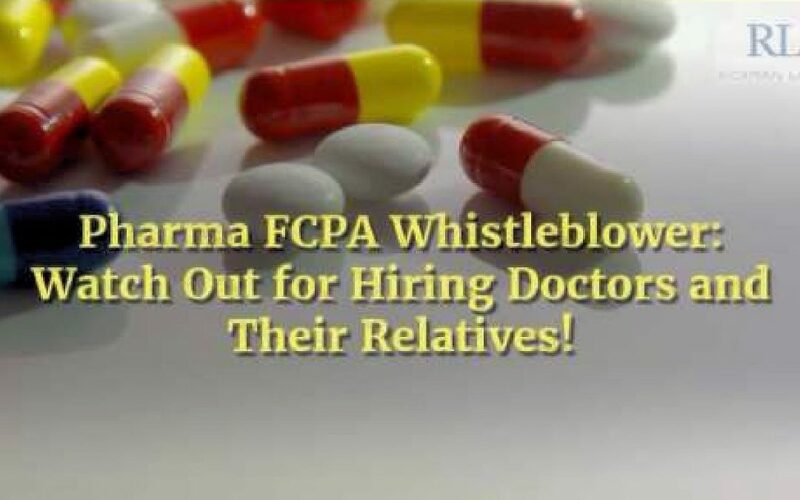 This video focuses on the pharmaceutical and healthcare sector bribing doctors by hiring and engaging them and their relatives as employees and consultants.